November 11th was a memorial day for Habitat as well. A team of 8 Canadian Rangers came to the site after the Remembrance Day Ceremonies to help us raise walls. 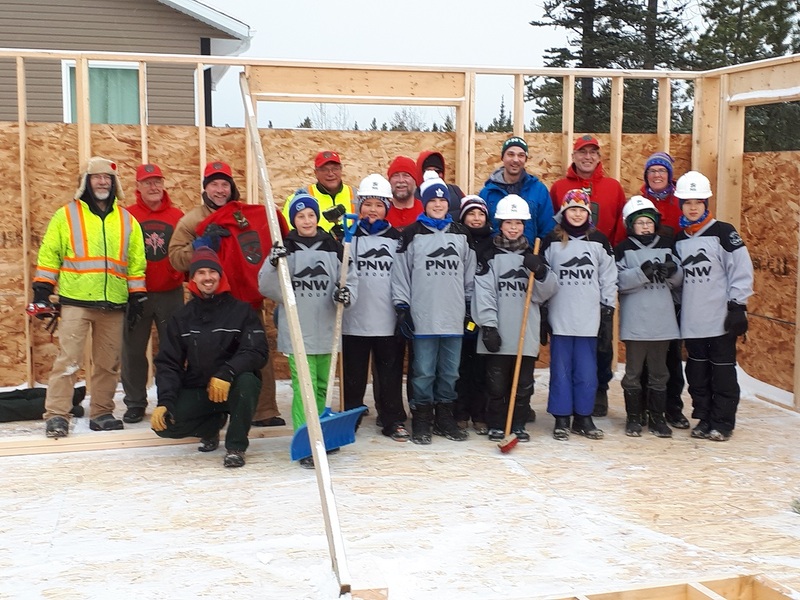 They were joined by 8 Peewee hockey players from the Pacific Northwest hockey team who did an excellent job in clearing the site of snow. Well done teams!